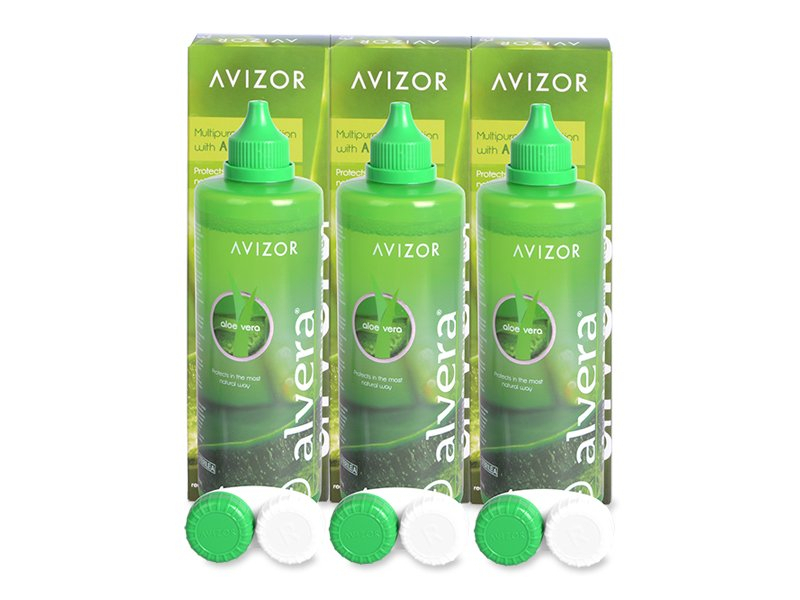 Alvera multipurpose solution is available in a convenient triple pack for easy, effective contact lens care. Each bottle comes with a sterile contact lens case. Save time and money with our value pack of Gelone multipurpose contact lens solution. This package contains three 360 ml bottles of solution, each with an antibacterial lens case. Gelone solution is suitable for sensitive eyes. Alvera solution is now available in a competitively priced package of three 350 ml bottles. This innovative solution is enriched with aloe vera extract, which is renowned for its calming and restorative properties. During the research and development stages, the producer, Avizor, developed the ideal concentration of moisturisng and cleaning components necessary to enhance comfort of wear. Alvera is a multipurpose solution intended to remove proteins and other debris and store all types of soft contact lenses. It assures comfortable wear, while also providing effective disinfection in between uses. The added concentration of aloe vera provides soothing comfort during the wearing period. This formula also helps protect eyes from damage from UV rays. This convenient and cost-effective triple pack of solution also comes with three sterile contact lens cases. 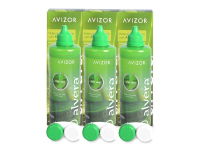 Avizor's Alvera breakthrough contact lens solution is also available in a single, 350ml bottle and a 2 x 350ml pack.